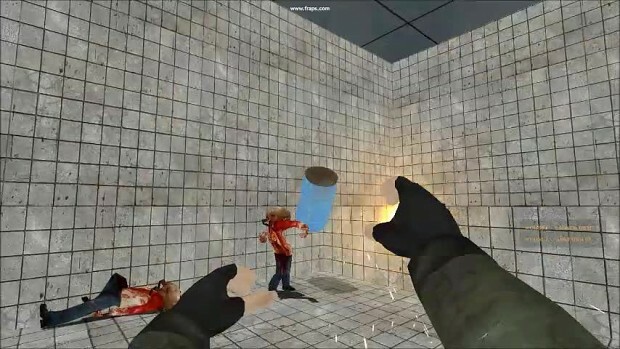 In the Half-Life: 2 single player mod Digit5 (pronouced digits) is a game where you play as an unknown character who has to escape a strange testing facility. You wake up in a bright room hearing zombies. You see the gravity suit in front of you. You pick it up and you leave on your journey to freedom. Your only friends are your gravity suit and your barrel. you go on solving puzzles and learning secrets about the testing facility. This game will require Half-Life: 2 to play. Some early game play of Digit5. Enjoy!